Our 1600 litre Adblue tank is manufactured in our UK factory in Cambridgeshire. We manufacturer our products using the highest quality materials, ensuring that our high standards are met. The material we use for our tanks is premium quality MDPE (medium density polyethylene) plastic. Its modern shape, new stronger lid and smooth sides makes this 1600 litre Adblue tank a strong tank. Our Adblue prices are competitive, but our high quality products stay the same. We sell a range of Adblue tank capacities to suit your needs, whether your looking for a small or large tank for your Adblue. 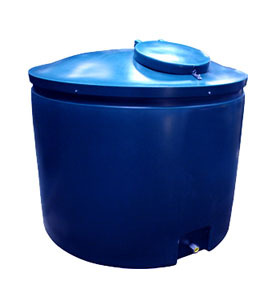 Our Adblue tanks are suitable for commercial and agricultural use. As security is very important when storing Adblue, All of our Ecosure Adblue tanks come standard fitted with a staple and hasp, which you can use with an optional padlock (not included). Just under the lockable lid, there is a 2" male overfill prevention valve and cap.